The Petite Tsarina White Gold Bracelet is available in 18ct white gold, and is decorated with 88 white round cut diamonds. 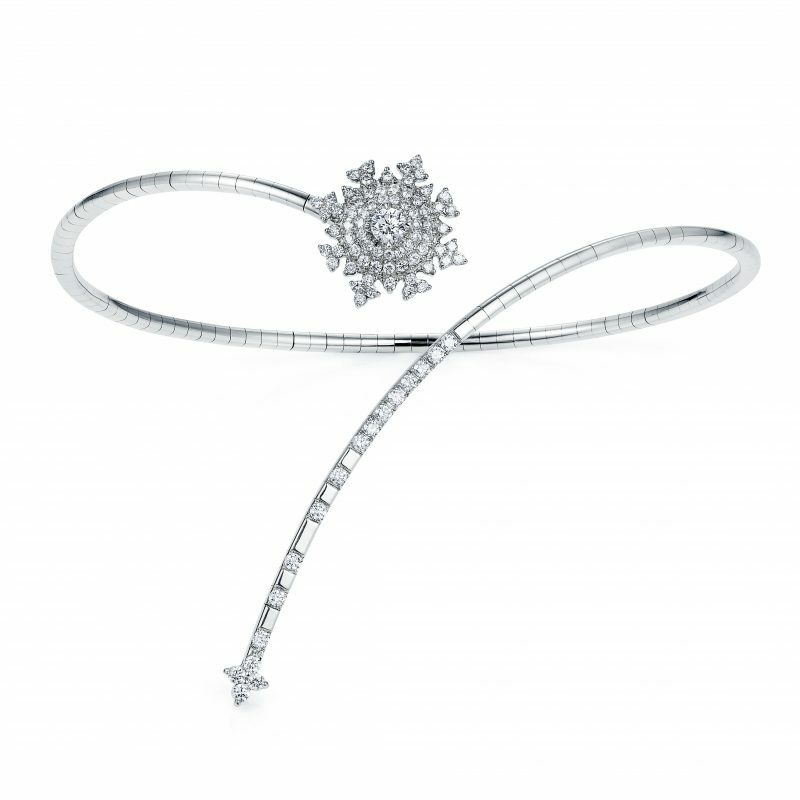 Part of the Petite Tsarina collection by Nadine Aysoy, which draws inspiration from the delicate beauty of snowflakes and star-shaped ice crystals. Nadine Aysoy is a luxury fine jewellery designer born in Antwerp, based in London. Her collection of exquisite, intriguing and timeless fine jewellery pieces launched as recently as last year. Inspired by the beauty of nature, art and precious stones, her pieces are both extravagant and chic, fusing timeless elegance with playful trend.